The born this way narrative says that being trans is not a choice, that I was born this way. That I’ve always been trans, I just didn’t know it. The born this way narrative makes sense for a lot of trans people – and this post is not meant to invalidate their identities or their narrative. This post is about me specifically and only me. I was not born this way. I chose to be trans. Or to rephrase it – autonomy and choice are very relevant to my current trans identity – not just biological determinism. In May of 2015 I was identifying myself as a crossdresser i.e. a man who feels happier wearing women’s clothing. I was exploring myself, exploring my gender, playing with identity and appearance. 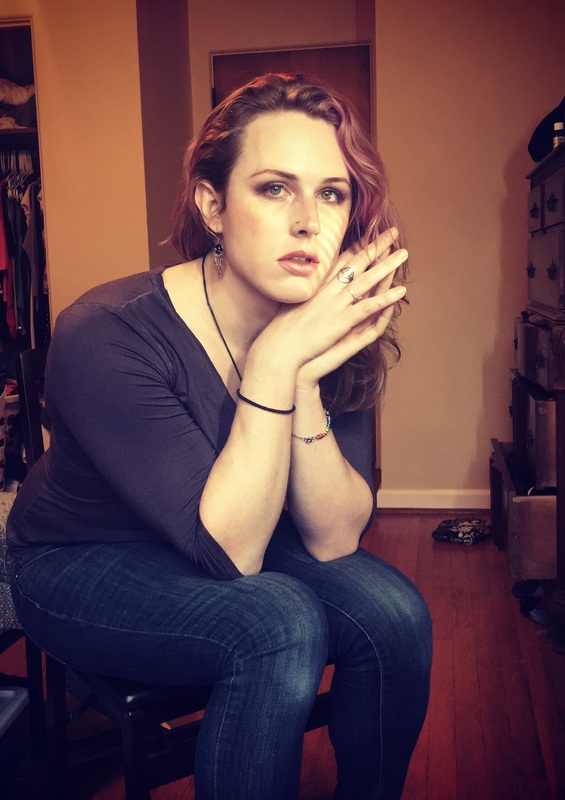 But at the same time I was exploring my identity as a crossdresser I was starting to read online forums about transgender women – slowly soaking up information about those AMAB persons who “went to the next level” in their having female identities. And at the time I was discussing my gender exploration with my therapist. She recommended watching the Diane Sawyer with Caitlyn Jenner. This interview caused my “awakening” to the possibility of myself being trans. In the past I had contemplated the possibility of transition but always dismissed it as being something I didn’t want to do – it would turn my life upside down in ways that seems difficult and inconvenient – though at the same time it seemed so fascinating. The Jenner interview made me feel for the first time that – woah – maybe I am trans afterall. Maybe I do want to transition. Was I trans? Was I not trans? Was I “just” a crossdresser? Or something else? There seemed at the time to be no way of really answering that question with any amount of certainty. Some trans women have felt like women since their earliest years. I couldn’t appeal to my feelings to help decide – I just felt like a person – I didn’t “feel like a woman” or “feel like a man” – I kinda felt like both – or neither. All I knew were my desires. The Jenner interview awakened to me the possibility that I wanted to transition – to live full-time or quasi-fulltime as a woman. But upon realizing I wanted to transition, I could have just as readily shot down this possibility as being too impractical, too difficult, etc. I just wasn’t that confident in my trans identity. Was I trans? I couldn’t tell for sure. I was questioning. I was deeply introspective. Ultimately, I saw that if I did decide to start calling myself trans and transition it would have incredible consequences for my life. It would turn my life up-side down, affecting my work life, my social life, my relationship with my parents – it would affect my ability to just go to the grocery store without raising eyebrows. It was totally unpredictable. I had no way of predicting what it would be like to transition. It was like facing the prospect of jumping off a cliff, taking a leap of faith. This is why the born this way narrative does not apply to me. Because there was a sense in which my current trans identity was not biologically inevitable. I could have easily continued my life living secretly as a crossdresser – I wasn’t depressed or suicidal. It was not a life or death choice for me like it is for so many trans people. I could have kept my feminine self contained. Or I dunno. Maybe it would have eventually boiled over years later. Maybe it was inevitable that I would have come to identify as trans. Maybe – maybe not. Perhaps there was an element of biological determinism in my trans identity, fitting the born this way narrative. But it seems undeniable to me that there was a tremendous amount of autonomy and choice in my identity. I had to choose to transition. And my decision to transition seems more relevant to my current identity than my initial awakening that made me identify as trans from watching the Jenner interview. The interview triggered something deep inside me that probably has it’s roots in my neurological profile. But if I told my story while leaving out the the elements of autonomy and choice it would be misleading. Maybe I didn’t choose to be trans. But choosing to transition was the decision that impacted my life more than my realization I wanted to transition. The decision to transition was not made lightly. I frantically read research on the internet. I googled “transgender” and looked up all the facts and statistics I could. I desperately searched for narratives of other AMAB trans people who transitioned in their late twenties and didn’t want bottom surgery. I found stories similar to mine. Finding these stories was critical to my accepting myself as trans and accepting that transition was the right choice. I don’t think I’m alone in that. This is why representation in the media is so important. To find people that have walked this road before. So while I can’t rule out biological determinism completely, my identity undeniably involved some element of choice. Perhaps I need a hybrid account – part biological, part social, part psychological. But I was not born this way. That’s too simplistic to account for how my questioning self came eventually to adopt a trans identity.